The Grimmaische Strasse is, basically, a street full of historically important buildings (with the excempt of the Kaufhof building far left in this panorama) and also is regarded the most expensive business street in eastern germany (excl. Berlin) from time to time. This work shows the southern side between the Neumarkt (left) and the Petersstrasse (right). The two buildings on the right end however are not really part of the street, but form the southern front of Leipzigs market square. Starting on the right we see the Messehaus am Markt (a former trade fair building), the Königshaus (King’s House), the Mädlerpassage and four further historical and modern facades which all house the Zeitgeschichtliche Forum Leipzig (modern history museum Leipzig). 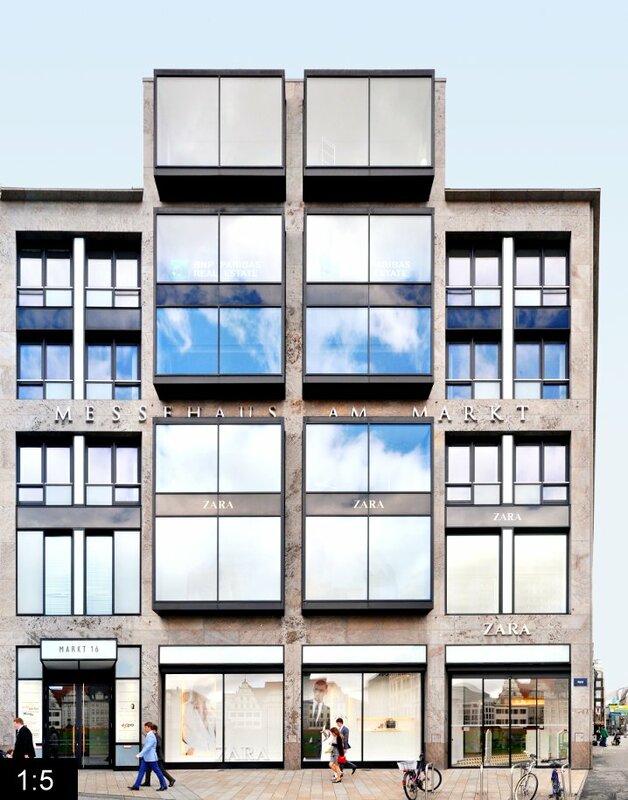 The Messehaus am Markt on the right corner was errected in 1963 replacing a trade fair building that was destroyed in WW2. 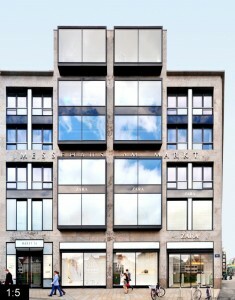 Today we see the restaurated modern facade by the architects Weis & Volkmann. 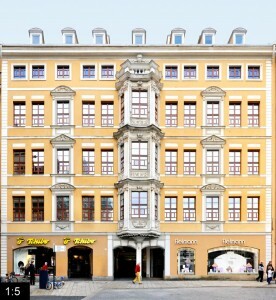 To the left we see the Königshaus, an entrance to a passage way as well, which was errected in 1610 and restyled in a more baroque form in the early 18th century. It once housed Tsar Peter the Great, August the Strong and Napoleon amongst others. 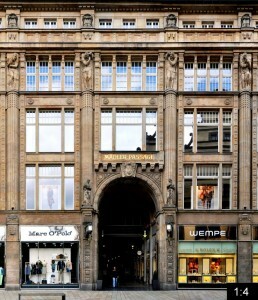 The following Mädlerpassage is the most famous of all the Leipzig’ passage ways. 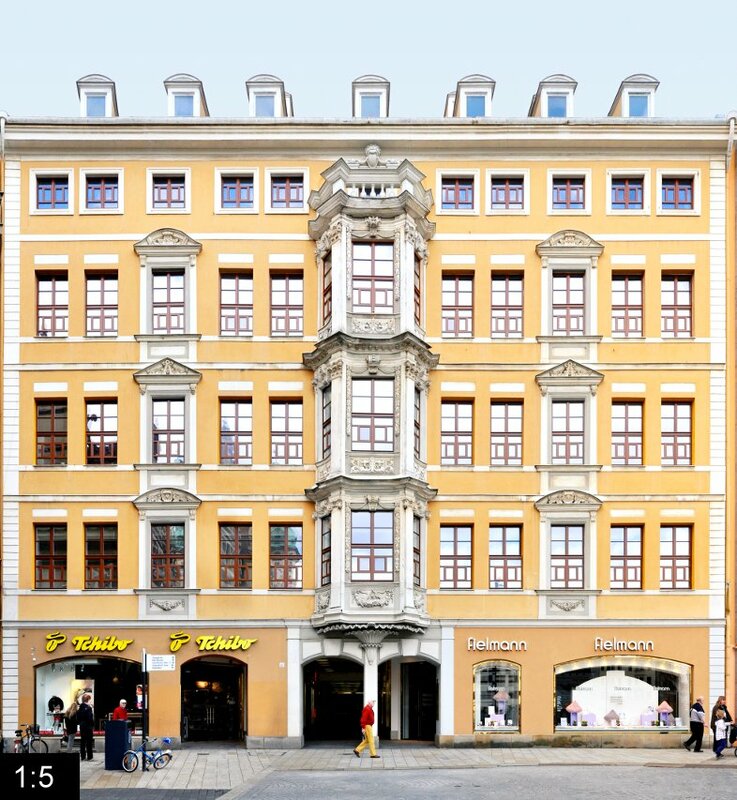 Here the Auerbachs Hof was situated before the new Mädlerpassage was built by case manufacturer Anton Mädler in 1912. Below you will still find the famous “Auerbachs Keller” from Goethe’s Faust. On the left the Zentralmessepalast (engl. 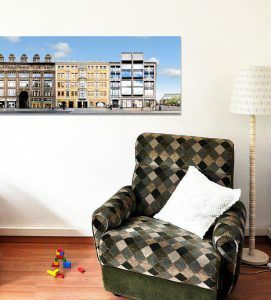 central trade fair palace) finnishes this street block. 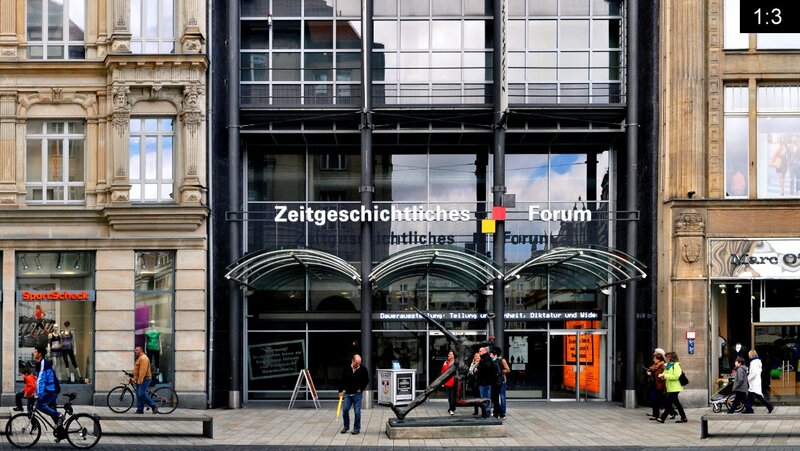 Today it is combined with the three buildings to the right and houses the Zeitgeschichtliche Forum Leipzig, a branch of the house of the history of the federal republic germany. 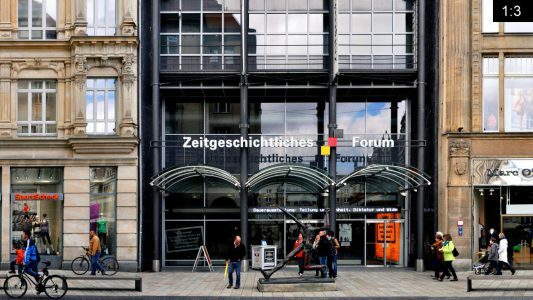 This museum covers the history of the divided germany as well as the history after the fall of the wall and specific subjects related to East-Germany. To see the Leipziger Volkszeitung article (21.09.13) go here. There are more Leipzig streets we photographed in our archive, which you can find by yellow markers on our worldmap. In case you are interested in us creating a streetline montage for one of these streets please contact us.